Almost 65 years have passed since a young Adam Baumann first spotted Jean Nordstrom at a dance in the old Swedish Hall in Vancouver in December 1953. While agreeing to dance, Jean kept declining Adam’s request to drive her home. She had come with her parents and a girlfriend, she explained. Finally, Jean told Adam if he could get her father’s permission, it would be OK. Her Dad agreed, but with one proviso. “I’ll be right behind you,” he warned. 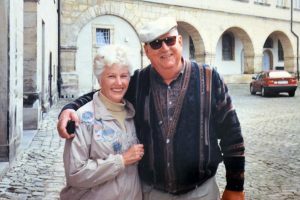 After they all arrived safely at the family’s blueberry farm in Richmond, Jean’s stepmother invited Adam back for Sunday dinner the next night – and their romance had a chance to bloom. They got married in June 1954 and later raised their three daughters in Penticton. Now the Baumanns are donating $30,000 to the South Okanagan Similkameen Medical Foundation to help fund new equipment for the Penticton Regional Hospital expansion. Adam Baumann was born and raised in Hungary, although his family is of German descent having emigrated to Hungary in the early 1700s. However, in 1946 following the upheaval of World War Two, the Baumanns and other Germanic families were deported from Hungary back to Germany. Adam immigrated to Canada in November 1951 and was soon hired at a sawmill north of Prince George. By the next summer, he was joined by his younger brother started working at the Bralorne mine west of Lillooet, remaining there until the spring of 1953. A mason by trade, Adam then got a job as a bricklayer in Vancouver but was soon travelling to work sites around the province. 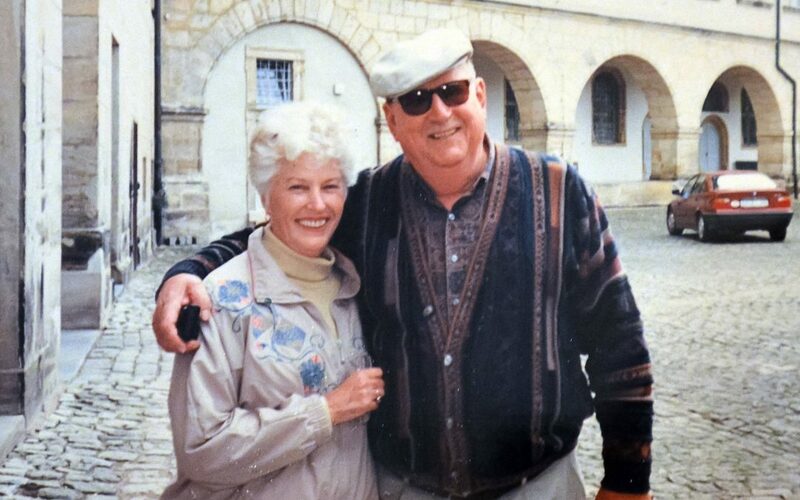 He fell in love with the South Okanagan while on holidays and Adam and Jean moved to Penticton in October 1954 and immediately opened A. Baumann Masonry Ltd. Jean worked from home as the company accountant. Local demand for his services quickly grew. After opening the Okanagan’s first concrete block plant on Camrose Street (now OK Ready Mix), Adam constructed several Penticton motels during the 1950s. He opened Penticton’s original mini-golf on Riverside Drive in 1958. Mini-golf was a new and exciting tourist draw at the time, but wasn’t so popular with some neighbouring residents who complained about the noise. “I got a letter from City Hall saying we were in contravention of the Lord’s Day Act,” he said. However, when Adam pointed out the Act’s enforcement meant all other businesses open on Sunday would also have to close, the City backed off. Baumann and his business partners developed the Sage Mesa subdivision, including the local water system, in the 1960s. He later built the St. Andrews golf course/residential development, as well as OK Mini Storage at the south end of Government Street and what is now Penticton Self-Storage at Government and Industrial Avenue. Adam and a partner were also involved in a mining venture in Peru for five years. But perhaps Adam’s proudest project was the striking 86 Lakeshore condominium building opposite Okanagan Lake Park, where he and Jean still reside. The address reflects the year it was built – in 1986. Adam made sketches of what he had in mind and showed them to the project’s architect. A book about Adam Baumann’s life, including his survival as a teen soldier in World War Two, will soon be published. A book launch for “The Upside of Hunger, a True Tale” by Roxi Harms will be held in coming weeks. The new patient care tower at PRH is on schedule to open in April 2019.